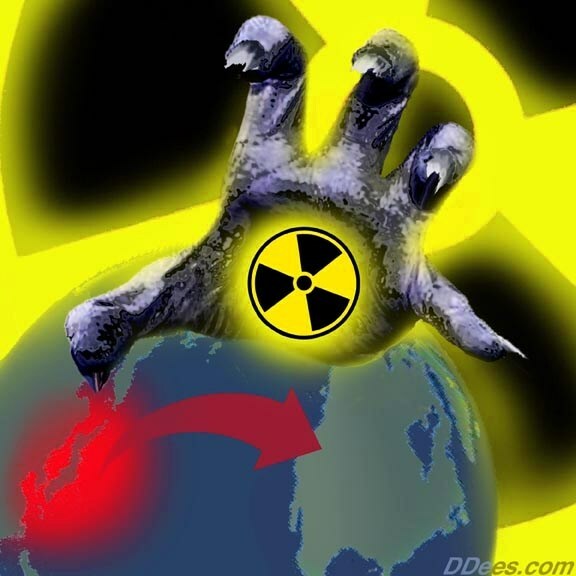 Fukushima is Here Now ~ This Will Kill You. Cancer cluster in Ulster. They suggest the Leukemias are caused by former apple orchards that existed in the area long ago, but they weren’t reporting illness until 2012. UK gets a lot of fallout from Fukushima due to high precipitation. You think that won’t kill you? That will KILL you! The children are dying and they are trying to blame farmers who aren’t even there anymore. We have to break through the wall of silence in science and the media. HIGHLAND — County and state health officials are investigating whether a potential “cancer cluster” exists in the Town of Lloyd after at least four children have been diagnosed with childhood leukemia within the past 20 months. Lloyd Supervisor Paul Hansut referred the cases to the county Health Department two months ago. According to county sources, Ulster County Health Commissioner Carol Smith reviewed the request and found it credible enough to forward to the state Health Department. Smith was not immediately available for comment Thursday. No comment was available from the state Health Department. The next steps and the time frame are undetermined. There’s been a long-standing fear in towns like Lloyd, where apple growing has been a primary industry, that soil and water may be contaminated by decades of reliance on toxic weed and pest control chemicals. Hansut said earlier this week that he became concerned after attending a benefit for one of the children and learning of other cases. While he said he didn’t believe all the affected homes were built on former orchards, at least three of the homes drew their water from wells. Stacey Malheiro’s 8-year-old daughter Alexandra was diagnosed with acute lymphoblastic leukemia or ALL, the most common type of childhood cancer, in July of 2012. Following exhaustive and exhausting steroid and chemotherapy, Alexandra’s disease is now in remission, her mother said. “She’s a trouper,” she said, a description that’s been used by everyone who’s come to know Alexandra. Three boys ranging in age from 3 to 4 have also been diagnosed with cancer, two with ALL and one with stage four neuroblastoma, according to Malheiro, who stays in touch with the affected families. Hansut said that since he’s posted information on Facebook he’s received at least fifty inquiries from residents worried about the possibility of cancer clusters in connection with other types of cancer. Stacey Malheiro, her husband, Joe, and two sons moved to Highland seven years ago from Brooklyn. Posted on October 18, 2013, in Earth Rights, Human Rights, Nuclear Energy and tagged Cancer, Cancer Cluster, Fukushima, Leukemia, Ulster. Bookmark the permalink. Leave a comment.